Malaysia’s economy continues to see healthy growth. Now it must find a way to avoid the middle income trap. Malaysia’s economic performance does not make headlines like it used to, but that does not mean that the economy is not still chugging along nicely. In fact, with the exception of difficult periods following major shocks such as the 2008 Global Financial Crisis, Malaysian GDP growth has performed well over the last decade, averaging about 5% since late 2010. The latest data for the third quarter showed GDP growth of 5.2%. These rates, while not as spectacular as China’s, are nonetheless extremely encouraging when compared to the developed nations of Europe and North America. Furthermore, domestic demand (a key strength in a world of insufficient demand) grew 11.4% from July to September of this year, mitigating what would have been a far worse slowdown resulting from global difficulties. Indeed while the gloomy external situation, including the EU debt crisis and a sluggish U.S. economy, has moderated Malaysia’s trade surplus somewhat this year, the country has still managed to produce a surplus year after year. 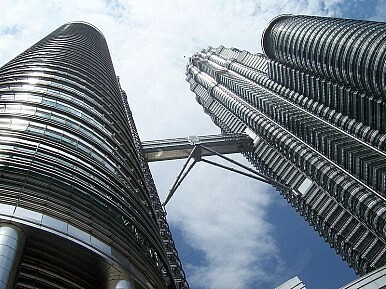 Like many nations afflicted by the 1997 Asian Financial Crisis, Malaysia’s balance of trade, following the devaluation that year, has remained positive since recovering in 1998. Unemployment has moderated following a 2008-2009 jump, generally improving and reaching 3.3% in September of this year. Third quarter inflation came in at just 1.4%, and even the inflationary spike of last year didn’t see rates hit 4% year-on-year (YonY). Hong Kong papers recently pondered why the Kuala Lumpa exchange this year has been the most active Asian market besides Japan in terms of Initial Public Offerings (IPOs). Hong Kong, Singapore and the Chinese mainland have lagged far behind. Meanwhile Malaysia is planning to diversify its export sectors to further protect the economy from the dangers of overreliance on foreign demand for manufactured goods. One structural challenge for Malaysia going forward is to increase labor productivity. Malaysia led developing Asia in terms of GDP per person in 1950, but was eclipsed by both Taiwan and South Korea in the 1970s. Taiwan last year had more than double the productivity of Malaysia when measured this year, whilst South Korean workers’ productivity was higher by more than a third. Malaysia is aiming to increase productivity (measured by Gross National Income per person employed rather than GDP per person employed) from $9,500 to $15,000 by 2020. If Malaysia can achieve this goal, it would mean that the country will have at long last emerged from the so called “middle-income trap”. Whilst it looks like finally Malaysia may be on course to escape “middle income” status, the predicament is called a trap for a reason. Early gains in a developing nation, including exploiting cheap labor and resources, allow productivity and incomes to grow to middle levels. Most emerging markets get stuck at this level or even regress (as Brazil has done recently) because to climb higher requires different, more complex changes which must also be maintained for decades – including the development of high quality soft infrastructure (including education), a predictable business climate, and a young population. These include strong regulatory bodies free of corruption and willing to combat it elsewhere, universities with global reputations, advanced hospitals and elites willing to allow such reform. Many countries encounter social and political resistance if such reforms are attempted, or suffer from stresses resulting (perversely) from their preceding strong growth. Malaysia is not alone in trying to escape this trap. China, Sri Lanka and Thailand currently lead Indonesia and the Philippines in terms of GDP per person employed. Brazil is ahead of all of them, but is moving in the wrong direction, with productivity falling since the investment heavy growth model slowed down in the 1970s. The question, then, is whether Malaysia can buck this trend? The latest projections shave a bit off of expected Asian growth.